We are engaged in providing our clients fine quality Hologram Shrink Sleeves, which are ideal for bottles. 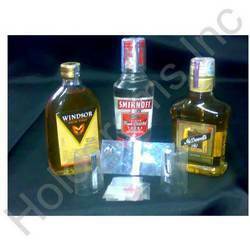 They play an important role against counterfeiting and ensure safety and purity of the product on which it is used. 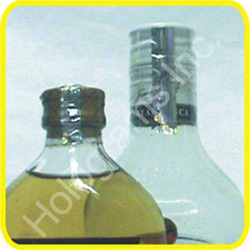 These Hologram Shrink Sleeves are widely demanded by our customers all across the globe. 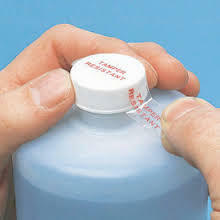 Our range of Bottle Shrink Sleeves is also known as PVC Labels and provides protection to product from moisture, grime and dust during storage. 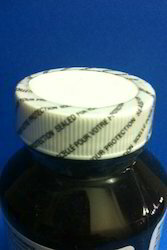 As these sleeves are scratch and water proof therefore, high in demand with food & beverage industry. 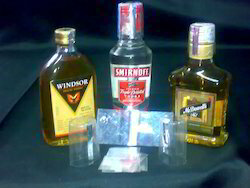 Holographic Shrink Sleeves are a key part of Hira Holovision product portfolio. HHV has added a vital security element to shrink sleeves by incorporating a Holostripe in the sleeve thereby making it an important product for anti-counterfeiting. A wide variety of colours are available such as Silver, Gold & many more. 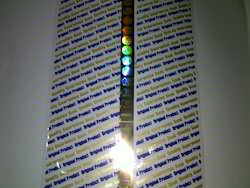 The Holostripe can be tamper proof in nature or be stamped on the shrink sleeve. Looking for Hologram Shrink Sleeves ?